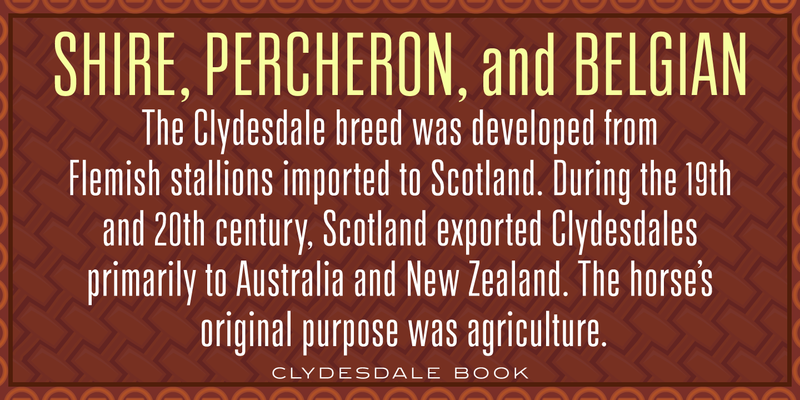 Clydesdale is a five-weight compressed sans serif font family. It was designed by Steve Jackaman (ITF) over a several-year period, and was released in 2017. 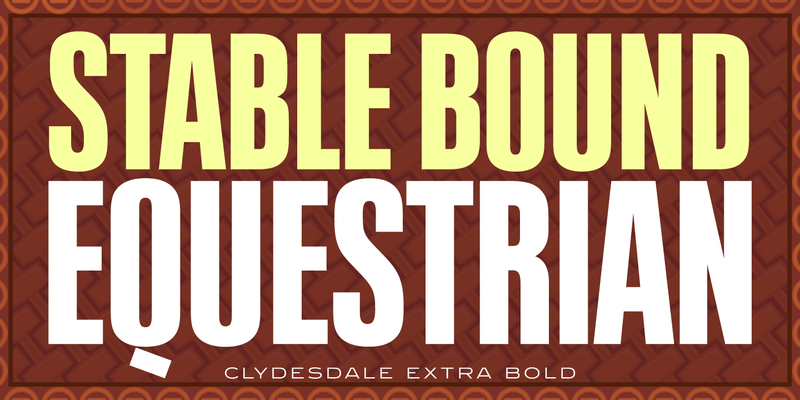 Clydesdale, much like its sister typefaces Coliseum and Torpedo, was inspired by authoritative Roman display typefaces. 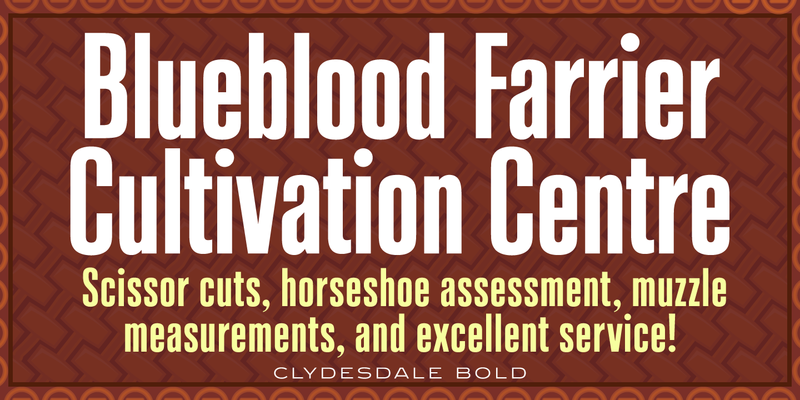 The font family excels in displays, but is a great performer in all text sizes. 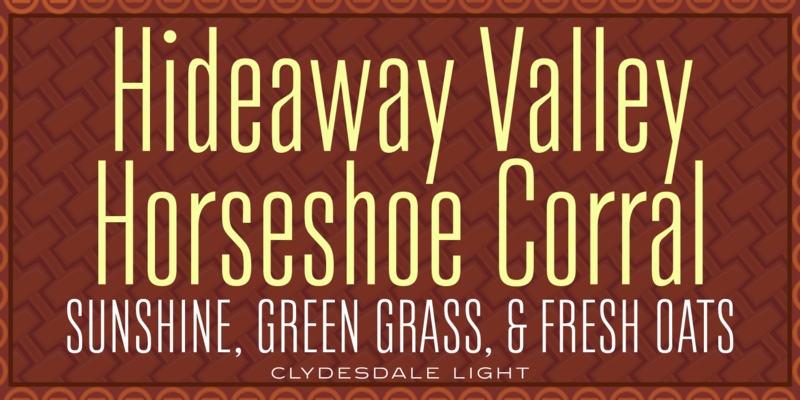 It is perfect for users who enjoy the impressiveness of Coliseum Pro and Torpedo, and need a complementary sans serif typeface. 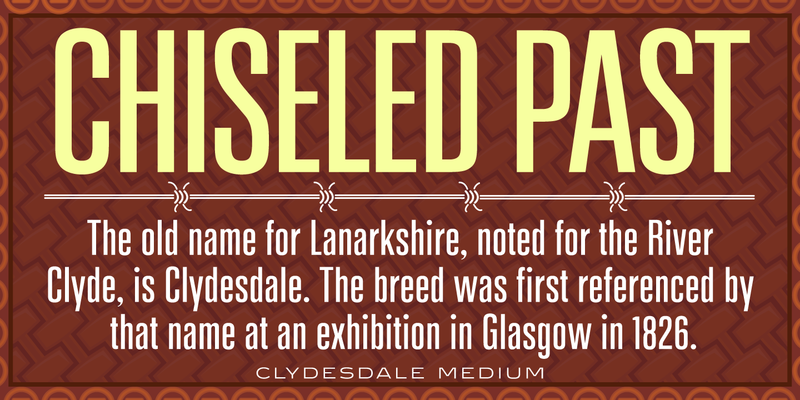 Clydesdale is a trademark of International TypeFounders, Inc. (ITF). 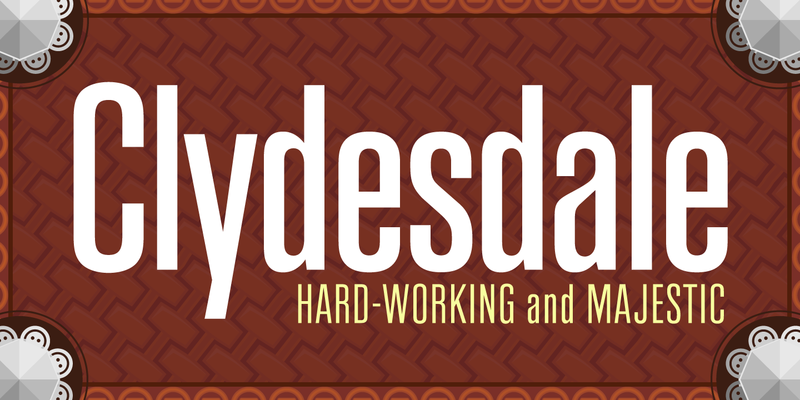 © 2017. International TypeFounders, Inc.